If you hate poetry but you like to laugh, here’s the perfect poetry book for you! 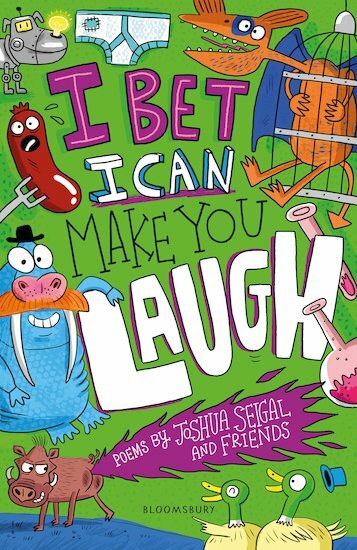 It’s compiled by Joshua Seigal, the witty genius who brought you I Don’t Like Poetry. And it’s filled with super-silly verses to make you laugh – like it or not! (We bet you can’t help it!) Inside you’ll find raps, ditties and odes to raise all kinds of laughs, from a shy titter to a roaring belly-laugh. There are poems about school rules, a bus that drives backwards and homework that eats dogs. A marvellously daft bonanza of mayhem and silliness – perfect if you hate poems. Or even if you like them!